Trilogy at Power Ranch is located in Gilbert, AZ. The 27,000 square foot club house offers countless activities and social opportunities. It includes a state-of-the-art fitness center, two outdoor pools, hobby rooms, computer lab, movie theater, cyber cafe and library. 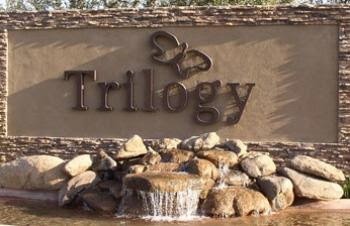 Trilogy also offers an 18 hole golf course that is a 71 par course. Homes were built between 1999 and 2008. Residents don’t have to leave the community for dining options.